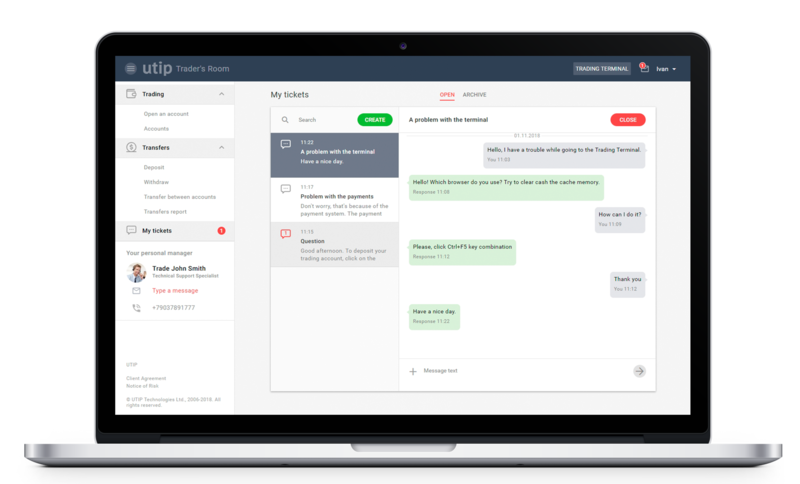 The plugin of IP-telephony 'Telphin' is integrated into UTIP CRM 2.11.0.0, which let clients make calls straight from the system. There is a necessity to set up the software 'Softphone' for making calls. All stages of dealing with clients are implemented in the application after the plugin installation. Call center managers can make telephone calls by click the appropriate telephone number. 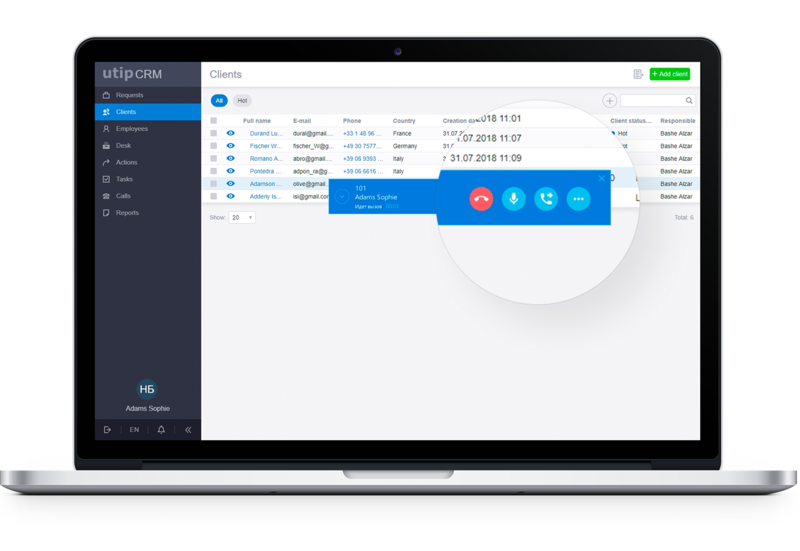 We have added the report 'By phone calls' to CRM 2.11.0.0. In the report 'By first phone calls' you can trace the time from the registration of client to the moment when the manager had made a phone call for the first time. Report 'By staff members' provide you phone call statistics and details for efficiency assay of employee performance. All the conversations through the plugin 'Telphin' between staff members and clients are being recorded. You can listen or download phone call records any time. It allows to check employee performance and its quality, improve conversation scripts, be more successful in handling a rejection. You can get all the details about new possibilities in CRM 2.11.0.0 in sales department. Follow the news in section News on our website. The new tab ‘My Tickets’ has appeared in Trader’s Room 2.2.0.0. This is a chat with technical support team, where trader may ask any question of interest. Broker’s managers can easily solve trader’s issues. Chat looks as good as in other social networks or apps. Trader will see a new message notifications on the main page and ‘My Tickets’ side menu. In chat there is a search on tickets topics and text of the message for rapid transition to the needed ticket. In the corresponding window trader can attach screenshot or other media materials. If trader is not satisfied with the work of the technical support employee and his issue has not been resolved, then you can reopen the closed message and continue the conversation. If you have any questions, you are free to ask our managers of sales department. 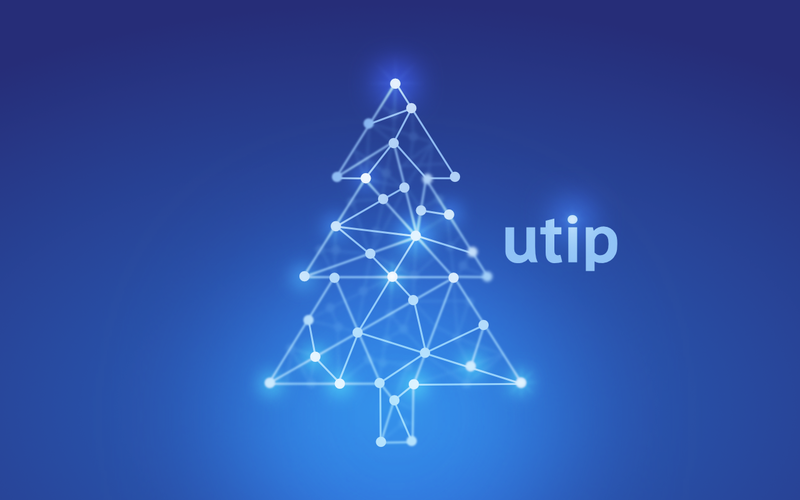 Read news of the UTIP company and stay up to date.